The first sight that greets you, as soon as you enter the hill station of Mussoorie, is that of the public library, which was established in 1843. Located above modern-day departmental stores, the green-and-white facade of the library stands as an anomaly, a standing relic of the Raj Era amidst the modern structures that now dot the Mall Road. I was told by local historian and photographer, Gopal Bhardwaj that during the British Rule, the Mall Road as well as the library carried signs stating, “Indians and dogs not allowed”. And that’s why travellers these days make it a point to go to libraries in the cities and towns that they visit. 24-year-old Foram Dhruv too visited the Mussoorie Library on one such holiday. Even now, only members are allowed inside. We sort of just snuck in. I was attracted to the old rusted feel, the big shelves, which transported you to the golden times. Travellers like her feel a greater connection with libraries than bookstores as the former are teeming with stories and nostalgia. Growing up, I have always been a member of a library. Shared books and stories are etched in my mind. Visiting old libraries is the one thing that keeps me happy for the fact that they still exist despite the growing culture of online libraries. It is such childhood memories of being surrounded by books that inspire Bengaluru-based author Shweta Taneja to make old libraries her haunt as well. I loved visiting my father after school, who ran a bookstore in Lajpat Nagar. I spent many an hour in the basement surrounded by books and playing around them. The memories are so strong that I make it a point to visit old libraries wherever I go. 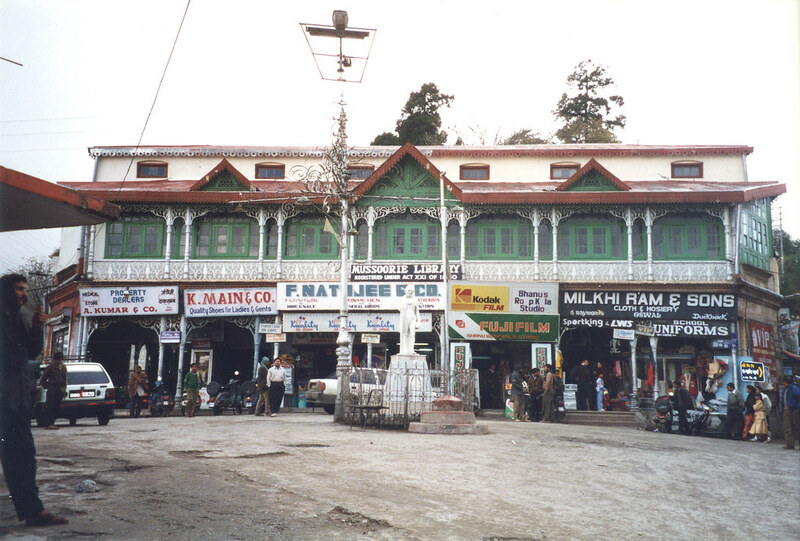 Among her favourite memories are of an old district library in Darjeeling. “It had this overwhelming feeling of grandeur,” says Taneja. Sometimes, one stumbles upon a library in the most unassuming of places, which contains endless rows of rare books. Sudha Ganapathi – traveller, editor and co-founder of the Twitter-based book club ‘The Sunday Book Club’ – came across one of the most spectacular libraries on a visit to Jhalawar in the Hadoti region of Rajasthan in November 2016. “My host, Mahijit ji, told me about the library, which had been founded by his great grandfather, the Maharaja of Jhalawar Sir Bhawani Singh in the late 19th-early 20th century,” says Ganapathi, who couldn’t believe her eyes when she saw shelves upon shelves filled with books that were at least a 100 years old. It had hard bound editions of Shakespeare, a cupboard full of books on Napoleon Bonaparte, museum catalogues from the Louvre and National Gallery London, art and architecture of Europe, books on Indian and Western philosophy, and books on art. Ganapathi squealed with joy when she saw the Portfolio of Indian Art by Ananda Coomaraswamy, a book that she had only heard about, but hadn't seen. The library has been handed over to a college in Jhalawar, but the collection is under serious threat from neglect and decay. Writer and scholar Ashutosh Potdar makes it a point to visit libraries in Nashik, Mumbai and Pune whenever he can. He has discovered books, photographs and archival material for his research on the dynamic between society and theatre in colonial times. Bharat Natya Mandir in Pune has one of the oldest libraries with a great collection of books. Also special is the Saraswati Mahal Library in Thanjavur which was established by the Nayak kings and has rare palm leaf manuscripts. It has books in Tamil, Telugu and Marathi, which highlights the rich multilingual tradition of old libraries. Then, there is the library at the Department of Archaeology and Museums, Telangana, which not only has a great collection of books but also features the old cataloguing system. “The old furniture, the cupboards, the atmosphere... is great,” says Basav Biradar, a heritage consultant, who found a great collection of books by Ghulam Yazdani, considered a pioneer in documenting the history of Nizam’s Hyderabad. “One doesn’t find these rare books in online bookstores!” says Biradar, who is planning a project around the history of old libraries, starting with the ones in Bengaluru – why they were needed, how they became a forum of knowledge exchange, going on to trace them to their current state. For instance, the library at the Indian Institute of World Culture is spread across two floors and has a separate magazine section, featuring Sahitya Akademi monthly journals. Some other old libraries still have a fine of 50 paise for a day’s delay. A visit to some libraries, located right in our backyard, can throw up interesting nuggets about special communities inhabiting the town or city. As a student, Mumbai-based writer Anuradha Shankar would often look longingly at the Gothic facade of the David Sassoon Library. Years later, she began to frequent this historic space often, due to its association with the Kala Ghoda Festival. The library has helped highlight the story of the Baghdadi Jews of Bombay, as well as the role they played in the growth of our city. I was surprised to learn, for example, that many of the buildings I was familiar with were built by the Sassoon family, who were not just rich merchants, but also philanthropists. It was also interesting to learn that this building was originally meant to house a Mechanics’ Institute, and only became a library later.